We spend so much money on expensive makeup and skincare lines that contain harmful or even toxic chemicals. Many of the personal care items sold contain ingredients that have been deemed to be carcinogenic, endocrine disrupting and bio-accumulating (Environmental working group, 2016). Available literature exists that also links some ingredients to diseases and disorders (Crinnion, 2010). These ingredients are easily avoidable as alternatives exist, but if the average consumer is unaware of the dangers lurking within their favorite face cream then they are unlikely to be aware that they may need to explore other options. We see products being labeled as “natural”, “organic”, and/or “hypoallergenic without actually being any of those things because the regulations for product labeling are not strong, and there is no testing to ensure that those types of claims are accurate. Making matters worse, manufactures are not required to include a list of impurities that their products may contain (as a byproduct of the manufacturing process) and the chemicals that make up the product’s fragrance need only be labeled as “fragrance” or “parfum” (Cancer Fund et al., 2010). The word “fragrance”, parfum” or “flavour” could mean any combination of up to 3,000 chemicals, many which have not been tested. (Schwatzberg, 2016). Of those that have been tested, the government has allowed certain chemicals that have been linked to adverse health effects to remain in personal care products in small concentrations that they believe to be safe (Health Canada, 2015). Some ingredients are bio-accumulative, however, and it is possible that repeated use might lead to higher concentration in the body than those deemed to be safe (Environmental Defence, 2012). My solution is to use the general rule of “if you can’t eat it then likely you shouldn’t apply it to your skin“. Applying food to your face is not only a safe alternative but in many cases much cheaper. Everyday we are discovering new information about our bodies biggest organ, our skin. We know now that our skin is not just a barrier but rather capable of absorption and orchestrating various complex chemical reactions that effects are transmitted deep into our bodies. In order to keep my skin nourished and protected I use the following natural wonder foods that promote healing and anti-aging. Parabens: Parabens are a form of preservative that have been found to mimic estrogen in some studies, disrupting proper hormone function (Luditow, 2008). The Breast Cancer Fund is concerned that some endocrine-affecting chemicals such as parabens and phthalates may “impair basic body functions like tissue growth and repair that are normally regulated by natural hormone signaling” through their ability to “mimic or disrupt natural estrogen, testosterone and thyroid pathways” (Breast Cancer Fund et al., 2010, p. 11). Scientists are especially concerned about the impact of hormone-disrupting chemicals during critical windows of development, such as fetal development” (Breast Cancer Fund et al., 2010 p. 11). Many DIY face creams exist and you can easily tailor the recipe to fit your skin type. Health Canada (2015b) acknowledges that formaldehyde and formaldehyde-releasing preservatives cause cancer when high levels are inhaled, so they are banned from aerosol products, but they have deemed them safe for use on the skin and lips in small concentrations, as they have an anti-microbial effect. To reduce your exposure to toxic heavy metals and formaldehyde found in your favorite lip balm try this DIY. In order to keep cosmetics on the shelves longer manufactures use butylated compounds such as BHT and BJA as preservatives. Shockingly, these chemicals are also found in chips, baked goods, chewing gum and vegetable oils. Butylated compounds are endocrine disruptions meaning they alter your hormone, may cause skin allergies and are linked to organ, developmental and reproductive toxicity (Pop et al. 2016). With these ingredients there is a risk of bio-accumulation, and over time there is the potential for serious health consequences. As a solution avoid these ingredients and either use products with natural preservatives or make small batches of preservative free products at home. Phthalates have been found to disrupt male hormones, are believed to affect fertility, and have been associated with testicular cancer (Environmental Defence, 2012). There are also concerns about phthalates causing low birth weight, malformations and even death to babies in utero (Crinnion, 2010). Cognitive impairment, mood disorders and inattention are characteristic of children who were exposed in the womb, whereas in adults there has been a connection between phthalates exposure and increased rates of breast cancer, insulin resistance, weight, and uterine fibroids (Crinnion, 2010). These reproductive toxins, which are often hidden under the “fragrance” label on the ingredient list, have also been linked to asthma and allergies (Luditow, 2008). A simple solution is to use pure high quality essential oils mixed in coconut oil. Facemasks are hydrating, purify the skin and give you that healthy glow but not if .it contains hydroquinone a chemical used to lighten discoloration and even skin tones. This substance has been banned in the Uk and is rated most toxic on the Environmental Working Group Skin Deep Database due to its link to cancer and reproductive toxicity (Environmental Working Group, 2016). 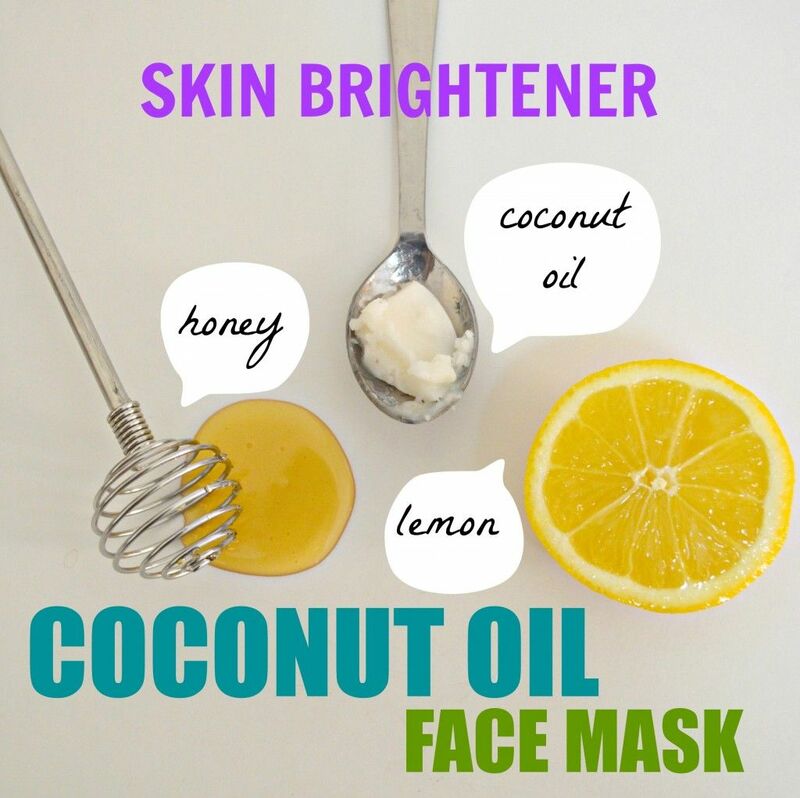 My favorite foods to use for a mask are coconut oil, lemon, honey and matcha green tea powder. This recipe is can be used on both dry and oily skin and is perfect for evening out skin tones and reducing redness. Labels on cosmetics and personal care products are confusing and at times feels like you are interpreting Morris code. This industry is shockingly unregulated and claims of “natural” or “organic” are often misleading. Don’t risk being subjected to chemicals that have been linked to disease. There are simple truly natural solutions available out there. I hope you enjoyed theses personal care products that literally are good enough to eat. This amazing article was written by Breanne Kallonen! We encourage you to check out her website and follow her on Facebook and Instagram! I believe you deserve the best possible health outcomes and I am committed to helping you get there. I am a mom of two, a wife and a Naturopathic Medical Intern at the Robert Schad Naturopathic Clinic in Toronto, Ontario. I studied Biomedical Sciences (H.BSc) at the University of Guelph and maintained honors standing throughout the program. You can check out my website link included above and follow me on Facebook and Instagram!